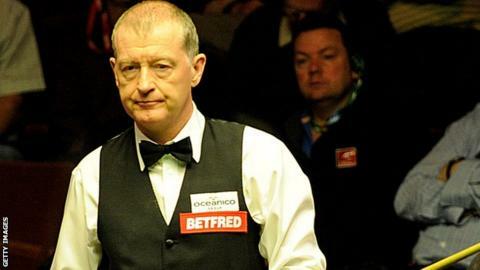 Snooker's world governing body will take no action after investigating betting patterns in a match between Steve Davis and Thepchaiya Un-Nooh. The World Professional Billiards and Snooker Association was looking into a game where six-time world champion Davis, 55, beat his Thai opponent 4-0. A WPBSA statement said: "There is insufficient evidence to show that there has been any breach of the rules. "[The WPBSA] will take no further action regarding this matter." The players were competing in the third round of the Players Tour Championship in Gloucester on 8 September. It is understood that the WPBSA did not believe Davis had breached rules. After contacting various bodies including the Gambling Commission, the WPBSA determined there was no proof of wrongdoing. Career highs: First established himself as one of Asia's most promising players when he won the IBSF World Championship in 2008, beating Colm Gilcreest 11-7 in the final. The WPBSA had been made aware that the odds on Asian betting exchanges moved considerably in the hours before the match. From around an 8-11 odds-on favourite, the betting odds for the 27-year-old Thai player, ranked 79th in the world, drifted to 11-8 against by the time the game had begun. Davis, who is ranked 49th in the world, won the match in an hour and 25 minutes, taking the four frames 88-9, 85-22, 68-60, 72-44. WPBSA chairman Jason Ferguson said at the time that "any player found guilty of such a breach is likely to be banned for life from snooker. Protecting the integrity of the sport of snooker is of paramount importance."